Tequila is a spirit that is rooted in centuries of tradition and ancestry. Many distilleries have been owned and operated by the same family for generations. Think about that for a moment: How many of us can get along with two or more generations of our own families for prolonged periods of time, let alone successfully conduct business together for decades? However, when it comes to tequila, somehow the essence of the agave spirit has a way of forming a strong bond. 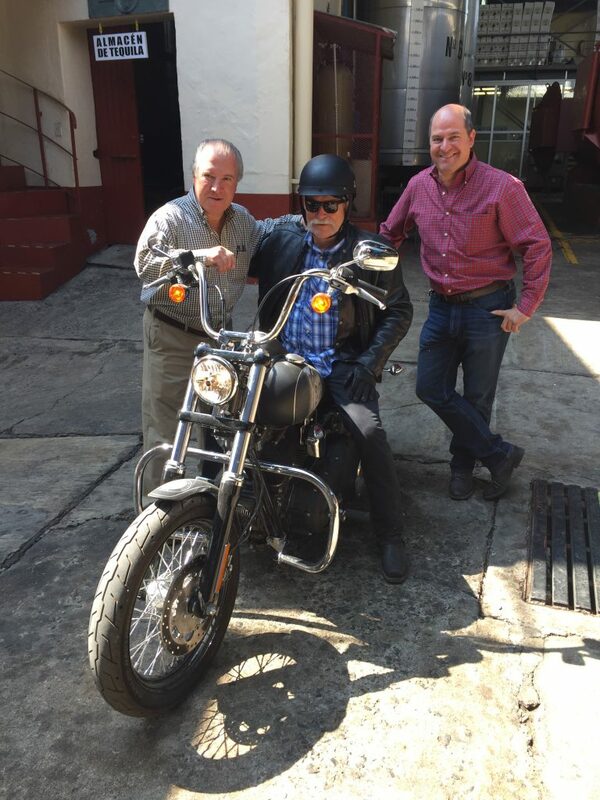 A recent visit to three family owned distilleries in the town of Tequila in Jalisco, Mexico demonstrated the diversity of the tequila making process, and also highlighted the common passion that keeps the family business thriving. In Mexico, Tequila Fortaleza is bottled as “Los Abuelos” (the grandfathers), named for the ancestors of the brand’s founder, Guillermo Erickson Sauza. His tatarabuelo (great-great-grandfather), Don Cenobio, has the distinction of being the first producer to export tequila to the states, and founded several distilleries in Jalisco. He passed the business down to his son, Don Eladio (the bisabuelo, great grandfather) who left it to his son Don Javier (abuelo), who founded the small distillery known as La Fortaleza (“fortitude”) on a hill at the edge of the town of Tequila. It functioned until 1968 when it became a sort of tequila museum showcasing what had by then become the “old” methods of tequila production. Don Javier sold the family business, which now operates as Tequila Sauza, in 1968. 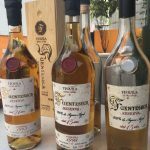 No longer a museum, the original Fortaleza distillery and surrounding estate was restored and built up in 1999 by Guillermo, who, at the time had found success in the corporate world, but always had a longing to make tequila using the centuries’ old methods his abuelo had taught him. It was essential that the brand be founded not as an offshoot of Sauza, but as a completely independent entity. The resulting tequila is produced using classic, often painstaking, methods. Once baked for over 33 hours in a small, antique brick oven, the lowlands-grown agave is crushed manually by tahona (stone mill). Mountain spring water sourced from a nearby idle volcano is used to wash away the fibers (used separately as compost in the fields), creating the juice (mosto) that is fermented in wooden vats, then distilled in very small copper pot stills. Even the bottles are made one by one in a small glass blowing facility in nearby Tonala, and the bottle tops, which represent the agave plant, are pieced together by hand in-house. There is nothing automatic about this operation, except, perhaps, the very calling that was felt by Guillermo to leave the corporate world and return to his roots. 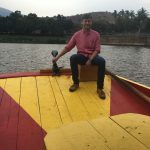 After touring the facility and grounds, and being treated to a pleasant, though somewhat misty gondola ride steered by Guillermo’s son Billy, it was time to taste some tequila. 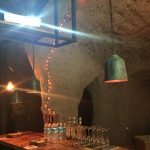 Of course, this is best enjoyed in an ancestral cave, tricked out with a stocked tasting bar and homemade snacks. Incidentally, many tequilas in the Mexican marketplace are bottled at 35% ABV to avoid extra tax fines, but Fortaleza/Los Abuelos is bottled at the full 40% (there are also plans for a delicious cask strength version on the American market in the coming months). Blanco: All of that effort can be tasted with a single drop of this tequila. It is bottled after some time resting in stainless steel tanks, and the deep, roasted flavors of the agave fan out over the palate. A soft, creamy viscosity coats the spirit, while still allowing its bold, bright flavors to play out. Reposado: Matured for 6 to 8 months in American oak, a cream soda sweetness and baking spice add other dimensions to the earthiness of the agave. Añejo: The spirit ages 18 months in the oak and obviously takes on more caramel and chocolatey richness. However, the sweetness is not so overpowering to make this a full on “dessert” tequila as so many in this category are, but instead draws out more of the spiciness of the base spirit. This is not to say it isn’t a worthy companion of a dessert course, as we discovered while finishing a taco dinner at the distillery (with Sandy, the family dog, staring wistfully for table scraps). The distillery was founded in the 1980s by the Fonsecas, a family of farmers going back generations even before agave was the main harvest of the land. Having supplied various tequila producers throughout Jalisco for the past couple of decades with the agave grown on their farm in the highlands, there came a point when farmers like them were getting the short end of the jimador doing business with Big Tequila. It made more sense to become a grower producer, and it just so happened this massive distillery was on the market from Bacardí. 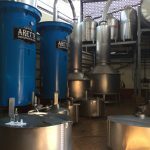 The facility as it operates now produces a wide range of 100% agave spirits and is a stark contrast to La Fortaleza, with super sized stills, fermenters, shredders instead of tahonas and autoclaves instead of traditional brick ovens. This is not a bad thing, after all, since a tool is only as good as its master. It is true that in some instances, autoclaves are a means of mass production - to cook as much agave as possible as quickly as possible. However, a good tequilero will test different temperatures and cook times to find out how to achieve an optimal balance. These autoclaves, though cooking in bulk, are doing so slowly (26 to 28 hours) at low temperatures. 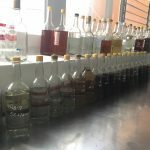 In a way, tequila in Mexico has become like bourbon in the United States in that one facility will produce a variety of labels under the same roof with a few variations. Again, not necessarily a bad thing, unless the marketing of the brands is deceptive. 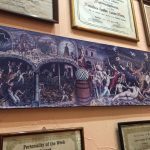 A celebrity-owned tequila label, for example, might have one believing the product was made at a distillery not unlike La Fortaleza, when in fact, it comes from one even bigger than La Tequileña. 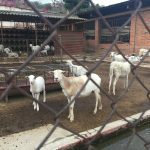 At press time they have ten active brands (including Selección ArteNOM, Cimarrón and T1) and five that are produced experimentally. Sergio Mendoza oversees Don Fulano and Fuenteseca. 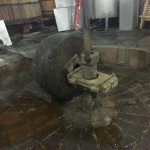 Like Don Guillermo, he grew up in the family business, On a tour of the facility, he describes how the fermenting tanks each hold different styles of distillate, “where the magic happens” to the mature agave juice bubbling away within, using proprietary yeast and water from the property. Mendoza is also a maturation consultant. The majority of tequila is aged in used bourbon barrels, since they are easy to come by given that bourbon can only be aged in virgin oak. However, Don Fulano and Fuenteseca experiments with alternative oaks, such as used French oak and Oloroso sherry, which allow for longer maturation since the properties of the wood are more mellow than the American bourbon casks. Most tequilas labeled “Extra Añejo” are matured up to about 4 years, but he’s found ways to draw the cask maturation out several times longer without ruining the integrity of the base spirit. Fuenteseca Blanco 2013: The spirit is aged two years in stainless steel (the vintage refers to the year of harvest and distillation). Lime and grassiness are common flavors associated with tequila blanco, but this one ups its game with a nutty richness. Don Fulano Reposado: Aged 8-11 months (as opposed to the typical 6), this spirit rests in French oak, which lends a tropical fruitiness along with dry, roasted herbs. Don Fulano Impérial: This tequila is a blend of 5 to 12 year old spirits, aged French oak, then married in Oloroso sherry casks for 2 months. The result is surprisingly dry expression with flavors of salted nuts, fresh berries, red apples and a distinct grapiness from the wine. Fuenteseca Reserva 1998: Had I tasted this 15 year old single harvest tequila blind, I’d swear it was Armagnac. It’s floral and fruity, with a dry heat that fizzles over the tongue. Fuenteseca Reserva 1993: While the 15 year old is dry, the 21 year old is soft and buttery. Butterscotch and vanilla are set off by a pleasant grassiness and something that tastes a bit like avocado. Although maybe that was what I detected since it was so close to lunchtime. A happy medium between the two distilleries is El Llano, founded in 1900 and currently producing Tequila Arette, under the direction of brothers Eduardo and Jaime Orendain, who, you guessed it, come from a long heritage of tequila producers. Their family took over the distillery in 1948 and over the years, the products made there were refined by younger generations of the family until 2000, when it the facility became mixto-free. 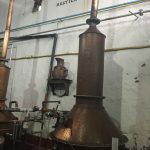 Tiny stills at Fortaleza make powerful tequila! 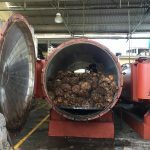 At the entrance to the distillery, freshly baked agave was cooling inside the open oven as workers loaded it into an automatic shredder, the juice flowing in visible tunnels to the fermenters like a tequila version of Willy Wonka’s Chocolate Factory. The fermenting juice was visible from a walkway, forming coffee and cream patterns as it reacted with the yeast. All throughout the distillery, a sweet, fruity scent permeated the air. Someone needs to find a way to replicate that scent as perfume or soap. Artesenal Suave Reposado: Aged 11 months in American oak, a playful spiciness along with dulce de leche mixes with the herbal and citrus notes of the agave. Artesenal Suave Añejo: For a tequila aged 18 months in American oak, it remains defiantly earthy, while taking on a chocolatey richness. Clasicá Blanco Fuerte 101: This cask strength blanco is bottled at 55.5% ABV, allowing the agave flavors to charge forth, though surprisingly, without tasting too overheated. It is intended for cocktails, but I was enjoying this one as nature intended. Obviously this grouping between the three distilleries is only a small cross section of the diverse spirit that is tequila, and there is much more to explore. I am slightly disappointed I didn't have the opportunity to visit one of the more corporate distilleries to note the contrast. Well, so much tequila, so little time. However, something that did stand out was a deeper understanding about tequila from a heritage standpoint. One can say that there is a sense of terroir when tasting wine or even whisky and brandy. However, traditional tequila goes further than that. It’s about ancestry - la familia.